Summary: UC is unrealistic about increased funding from the state, backfilling of past budget cuts, or predictability for the university. It is not addressing predictability for students. UC was good at protecting the neediest students but not so good at protecting the middle class. There are legislative concerns about graduate and professional school students, not just undergrads. If UC raises graduate and professional school tuition, the legislature won’t be receptive and will instead ask questions about executive pay. There should be “no additional harm” to students. Education, including higher ed, is benefiting from Prop 30 under the governor’s budget, unlike other programs. The legislature ultimately enacts the budget; what the governor issued was a budget proposal. 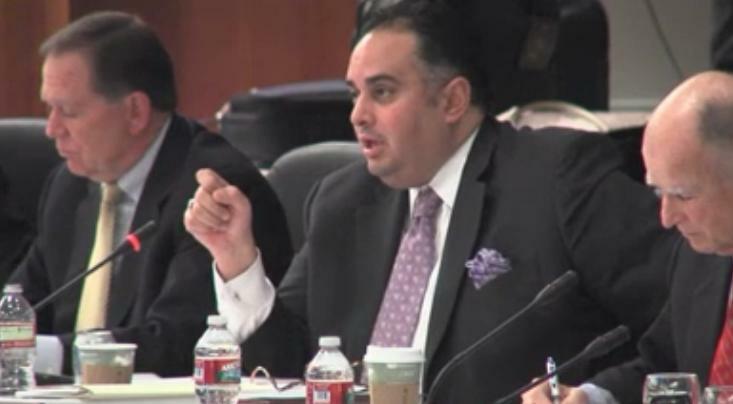 Pérez spoke about the unfunded liability in the UC pension system. He seemed unclear about the actual history of the pension contribution “holiday.” The story is more nuanced than he implied. The holiday began because UC’s pension was seen as overfunded and the state had a budget crisis (in the early 1990s). That is, the decision to suspend contributions was based on the notion that UC could not ask a legislature strapped for cash for contributions to an overfunded pension. Later, the stock market boomed as part of the more specific dot-com boom and the pension became more overfunded despite the lack of contributions. So, again, there was a decision that even though the state budget crisis had ended, UC could not go the legislature and ask for contributions to an overfunded pension. In short, there was a political/legislative element to the pension holiday; it was not just some internal decision isolated within UC. It might also be noted that Pérez did not discuss research in contrast with the governor (who questioned what research quality was, but at least thought research was worth mentioning).